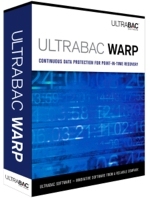 UltraBac Warp Workstation Edition is also sold in 3-packs and 5-packs, as well as larger discounted quantities. For pricing of larger quantities, please visit the Volume Licensing section or contact us at 425.644.6000 or toll-free within the U.S. at 866.554.8562. Maintenance Subscription Agreements (MSAs) are not available for single use, 3-packs and 5-packs of the UltraBac Warp Workstation Edition. Maintenance can be purchased for quantities of 10 licenses or more at an additional cost. For more information please contact maintenance@ultrabac.com.